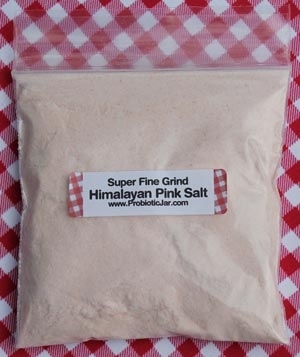 Himalayan Pink Salt is harvested in the Himalayan Mountains in Asia using old world methods in order to preserve the known and as of yet, unknown qualities and effects of this amazing nutrient source. Known in the Himalayas as “white gold,” Himalayan Pink Salt contains the same 84 natural minerals and elements found in the human body. This form of salt has been maturing since the beginning of time under intense tectonic pressure, creating a natural environment of zero exposure to toxins and impurities that are naturally present in sea salts. Himalayan Pink Salt’s crystalline structure is unique, allowing it to store vibrational energy. Its molecules are tiny enough for our cells to easily absorb.